I did my internship at Nielsen and trust me, that was the best time of my life so far. I got exposed to so much of data that I really wanted know the figures about almost everything in life. Well, that is something pretty harsh, isn't it? The so called feminists in our country are already fighting for the inequality faced by women in the field of education, workplaces and what not. And we have a classic example of inequality in the most unimaginable field of debate - laundry. This was pretty unimaginable for me because my family probably lies in the remaining percentage of each figure. My mother washes the clothes because she has been doing it from the beginning. But I have seen my dad learning to operate the washing machine from my mom. He doesn't real depend on my mom to get his clothes washed and ironed. If his clothes are not washed, he washes them on his own. And trust me, sometimes without even the washing machine. My father doesn't even prioritize anything else over cleaning clothes or utensils. People in my house are really particular about everything. So nothing is of higher priority than a clean house. And it is not just about washing, but my dad is an ace dryer! When it comes to drying the clothes, he perfectly lines them up on the standing and wires. Doing laundry includes drying your clothes well too. And let me tell you one thing, Nielsen quotes these facts with 95% confidence interval. So basically, I come from a family which practically defies these facts and figures, statistically. I so wish that every family, at least every urban family, is like mine where they believe that laundry is definitely not just a woman's job. And I am so glad to have been brought up by such a family where the line between possible and impossible tasks for a woman has been clearly defined. Sexism never existed in term of household work or the professional fields. My father is a doctor and my mothe ris a home-maker, but no work in the house has been defined by them. Trust me, there are many things in this world which are physically impossible for women to do and vic-e-versa. Laundry is not one of them. The bottom line is - who does the laundry is not important but a clean pile of cloth is more important! Come on! I can't believe people still think laundry is a woman's job. Men should do 60% of the housechores. If there is only one job available, the woman should get it to help make her equal with the man, as he naturally has more physical power. google search on who does laundry. 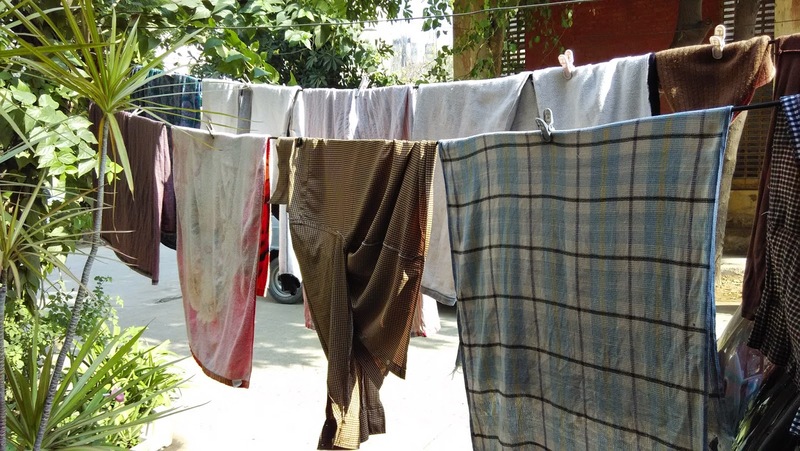 Of all the housechores men think are women's, laundry seems to be #1. Unfortunately, that is how it works. We are far from equality.